In everyone’s childhood there are a few stories that leave their mark. For me, those stories included Star Wars, The Hero and the Crown, Disney’s The Little Mermaid, tales of King Arthur and his Knights, and The Chronicles of Prydain. 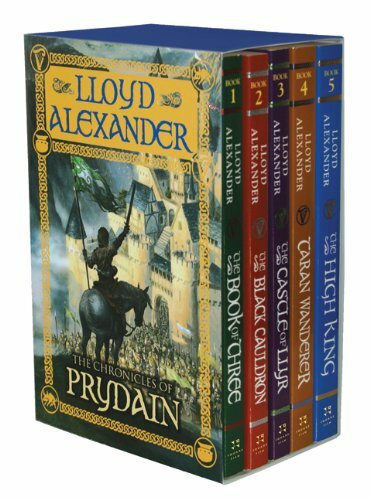 2014 marks the 50th anniversary of the first in the Prydain series, The Book of Three. This series is relatively unimposing. I had never heard of them before my mother bought them for me. Often I hear people talk about The Chronicles of Narnia, but there’s really only one ‘Chronicles’ for me, and that’s of Prydain. Lloyd Alexander’s classic books have all the heart, adventure, and literary significance of C.S. Lewis’s more famous tales, without all the Christian posturing. The Book of Three was published in 1964, with one of the four sequels published a year through to 1968. The sequels are called The Black Cauldron, The Castle of Llyr, Taran Wanderer, and The High King. 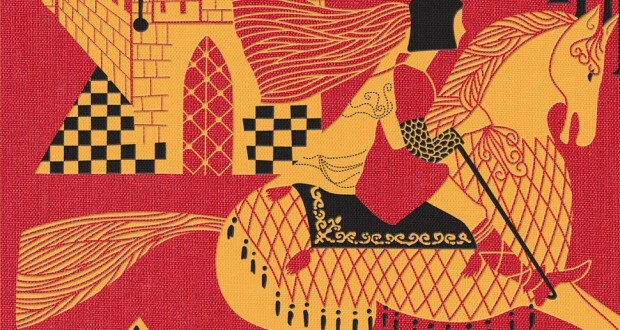 With The Black Cauldron receiving a Newbery Honor in 1966, Taran Wanderer was named best book of the year by the School Library Journal, and The High King won the Newbury Medal in 1969. 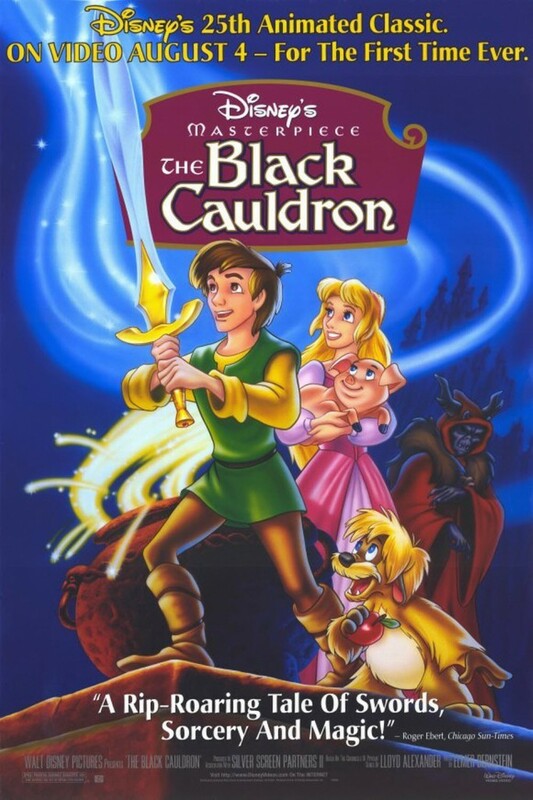 Disney adapted the first two books in the series into The Black Cauldron in 1985 – very loosely – the film was a commercial and critical failure. Lloyd Alexander published over 40 novels in his lifetime. 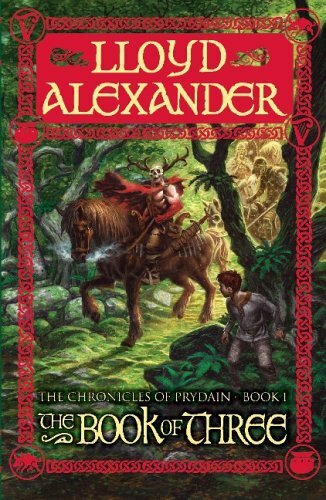 In addition to The Chronicles of Prydain he wrote two other children’s fantasy series, along with stand-alone novels and short story collections. In 2003, Alexander was awarded The World Fantasy Lifetime Achievement Award. He died in 2007, with his final book, The Golden Dream of Carlo Chuchio waiting to be published. What makes Alexander’s fantasy writing stand out is not the original story – it is a very traditional children’s fantasy story. With a young boy taking on more and more responsibility as he faces the trials set before him in order to be the hero the world needs. There is a lot of travelling across the countryside with the help of a varied entourage, and a whole lot of soul searching. The standout features are the way Alexander gives depth to his characters. 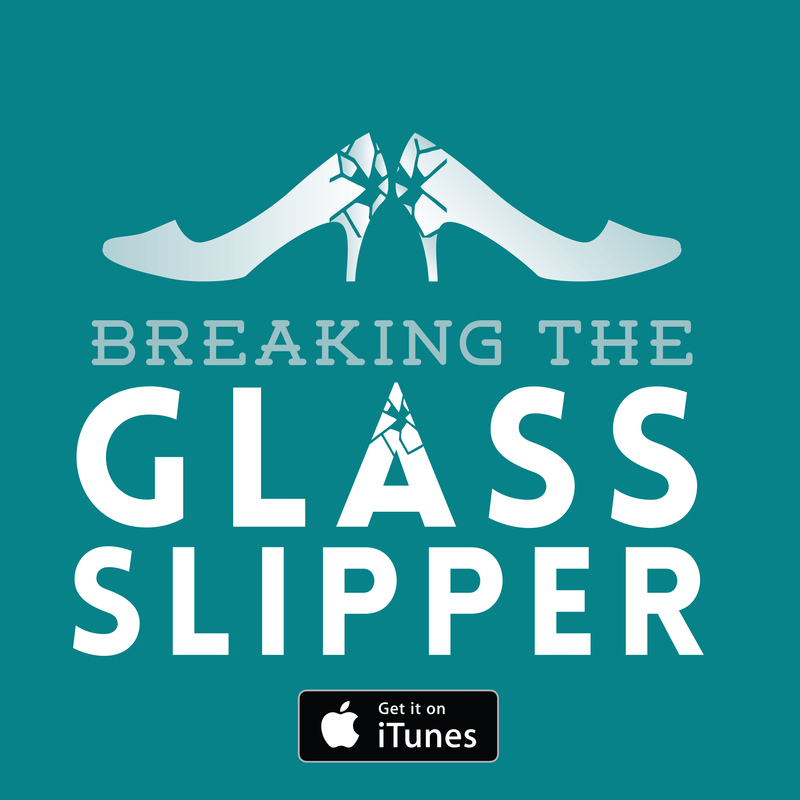 While the story and the characters are very archetypal, he makes the characters relatable with motivation and flaws. Most importantly, Alexander’s stories don’t tend to take themselves too seriously – there’s always an element of humour. Much like Joss Whedon has done in his successful career, Alexander uses the tropes of his genre while gently poking fun at it. When his main protagonist, Taran, starts to brood or feel the burdens of the world on his shoulders, he has one of the other characters tease him or point out that they have similar burdens on them. Princess Eilonwy is Taran’s love interest throughout the series. Being a Princess, she is shallow, spoilt, as well as a little silly and thoughtless. 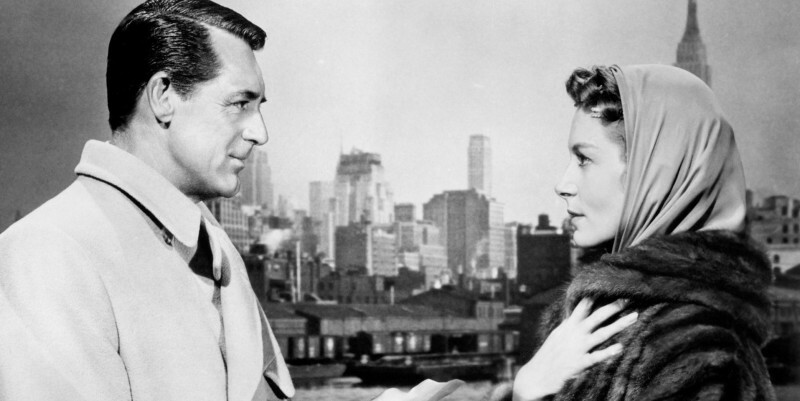 What makes her so brilliant is that she manages to hold her own. While she might not be the fighter or the character with the most emotional depth, she never backs down from a fight. Eilonwy never lets Taran get away with too much. She knows her mind and has no trouble speaking it. She was a hero to this outspoken young lady, that’s for sure. For those of you who haven’t come across The Book of Three before, the plot follows young assistant pig-keeper Taran on an adventure through Prydain. The pig under is care is not an ordinary pig, however, Hen Wen is an oracular pig. When Hen Wen escapes the farm one day, Taran runs after her, barely managing to stay alive when the Horned King’s forces descend on his home. He is saved by the High Prince of the kingdom, Gwydion, before picking up several additional characters for his adventuring troupe (Gurgi, Fflewddur Fflam, Eilonwy, and Doli). The companions travel towards the castle at Caer Dathyl to warn them of the impending attack. Though the series is aimed for middle grade children (a younger audience than young adult novels) there is certainly something there for adults new to the books – and of course, if you loved them as a kid, isn’t it time you re-read them? 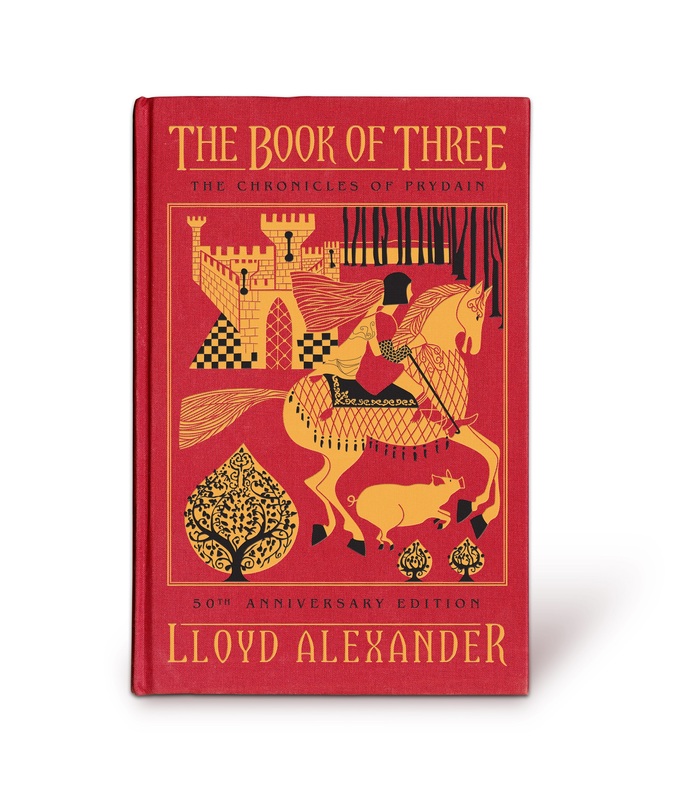 To celebrate the 50th anniversary, Macmillan is publishing a special 50th anniversary edition of The Book of Three on September 2nd. Presumably, the sequels will also follow in the years to come. Previous: Guardians of the Galaxy: No raccoons or tree creatures were harmed during the making of this film.